D-Link, the global leader in offering connectivity to all types of business as well as home users has released its first ever Internet TV box called the Boxee. Previously unveiled at the CES which was than seen running Nvidia’s Tegra 2 Chip, the authorities make a quick reversal and now launched the product under the Intel Atom CE4100 domain. Bringing the product under the Intel family, the gadget would now be part of the Smart TV Program which Intel is heavily promoting. According to D-Link, the switch which has been made from Nvidia to Intel, would offer better support for the high-profile H264 HD Playback. A company official further commented that the Nvidia would still support future generations of Tegra supporting a wide variety of video formats but not on the Boxee Box. With Intel’s support, the software framework would deliver up to full 1080p HD over a wired or wireless network. The smart TV box would be shipped with thousands of apps already available on the network. 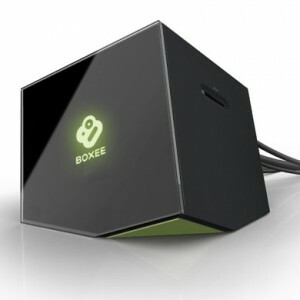 Boxee’s library will offer free as well as paid content. Social media networks and your own digital content would also be displayed over the box. BBC, CNET, CNN, Comedy Central, Facebook, MySpaceTV, MTV, YouTube and much more is some of the content present on Boxee. The product will be available soon to pre-order from Amazon with an attractive price of $200.